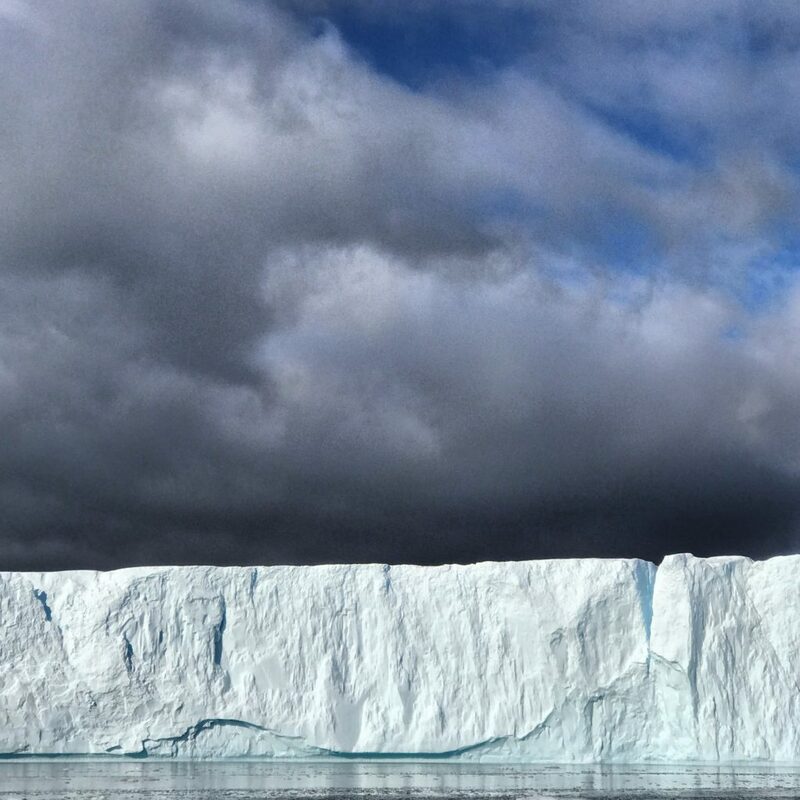 When you tell people you’re going to Greenland, the reactions are impressive. There’s a lot of wide-eyed nodding and inquisitiveness. In the weeks leading up to my trip, no one I encountered had actually ever been there before. I don’t think many people know that it’s just a quick two-hour flight from Reykjavík, but once the word is out, I have a feeling that will change quickly. From my first glance out the plane window, I fell hard. The icy waters were turquoise and surrounded by ruddy land and patches of snow. It was a glorious site to behold. Upon landing we were shuttled to the port and then taken by zodiac to Lindblad Expeditions’ National Geographic Explorer, which we would inhabit for the next four days. The ship is a converted ferry and holds only 148 passengers. (Side note, it also offers a 24-hour Open Bridge policy, which was an incredible post-dinner activity). I immediately knew as I stepped up into the bottom of the ship that I was in for more of an adventure than a leisurely boat trip. 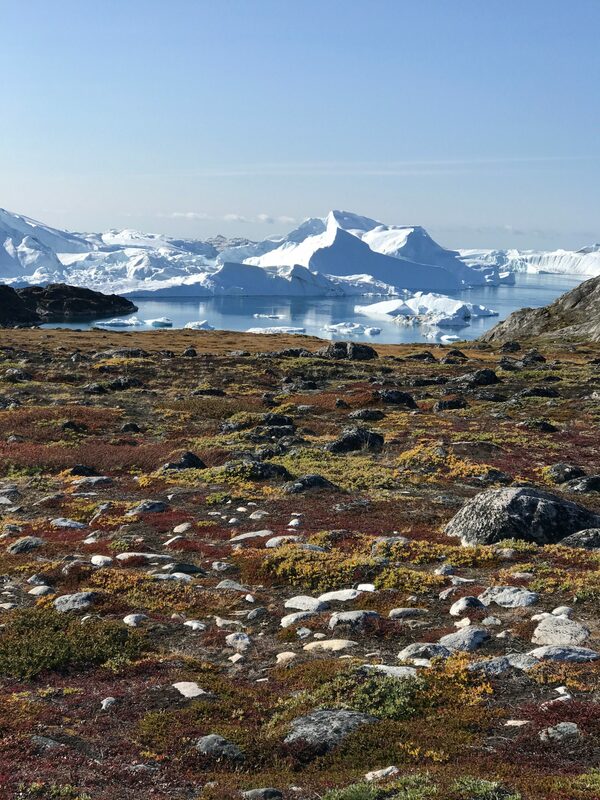 I was more than happy to learn, unlike other ships, the National Geographic Explorer is staffed with an incredible team of naturalists, undersea specialists, geologists and photographers that teach you about the Arctic – and in this case Greenland specifically. Russ Evans, the ship’s expedition leader, kept us informed and educated about where we were and where we were going. One night, he even woke us up at 1:00 am because he caught a glimpse of the northern lights. We all showed up on deck in pajamas, no questions asked. Alas, no lights, but what a dedicated group of voyagers we were nonetheless! 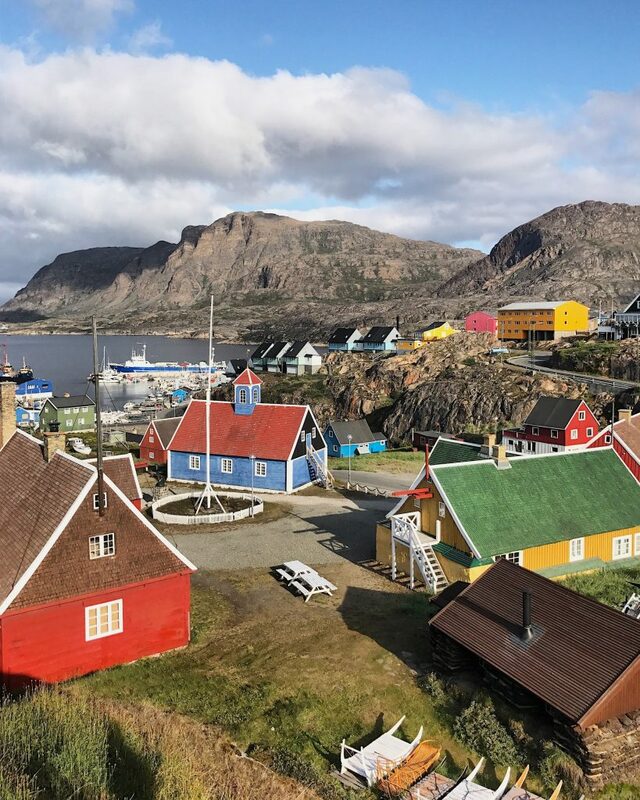 Each place in Greenland we visited was distinctly its own and equally as gorgeous. From the bright houses in the small harbor town of Sisimiut to the awe inspiring icebergs in Iluslissat, where we boated out into the frigid waters, each place we saw took my breath away and left me bewildered and more curious about our precious earth. We also had the gift of having Aleqa Hammond, the former Prime Minster of Greenland, on our trip. Hearing her talk about the history and culture of Greenland’s people was educational and inspiring. 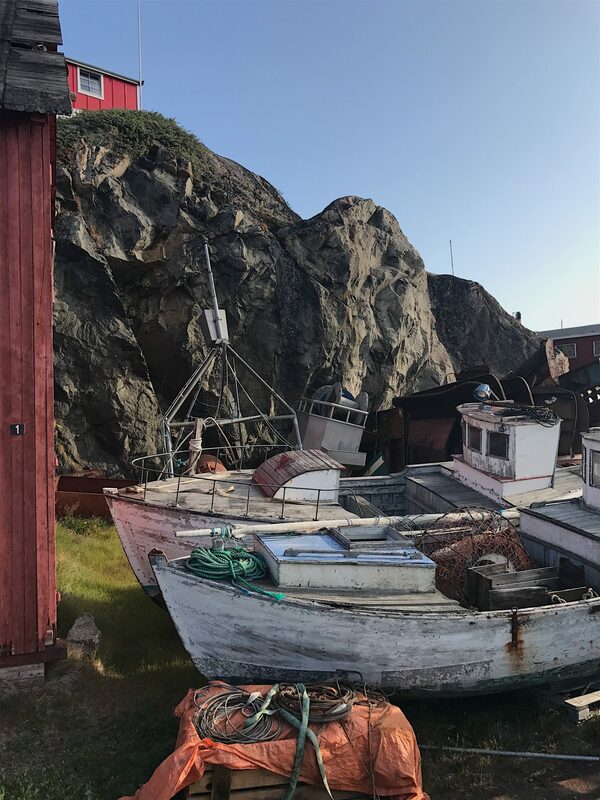 With only 65,000 people inhabiting the island, Greenlandic people still hunt for most of their food, which includes seals, whales, polar bears, and of course fish. No land hunting on motorized vehicles is allowed, which I found not only ethical, but incredibly impressive. She also spoke passionately, but optimistically about global warming and how the country is working to learn how to adapt and problem solve what lies ahead. If you had asked me before I left if I’d walk away from this trip yearning for Artic hikes, undersea diving recaps and talks from naturalist, I would have politely dismissed you. I’m ever so happy to be proven wrong. 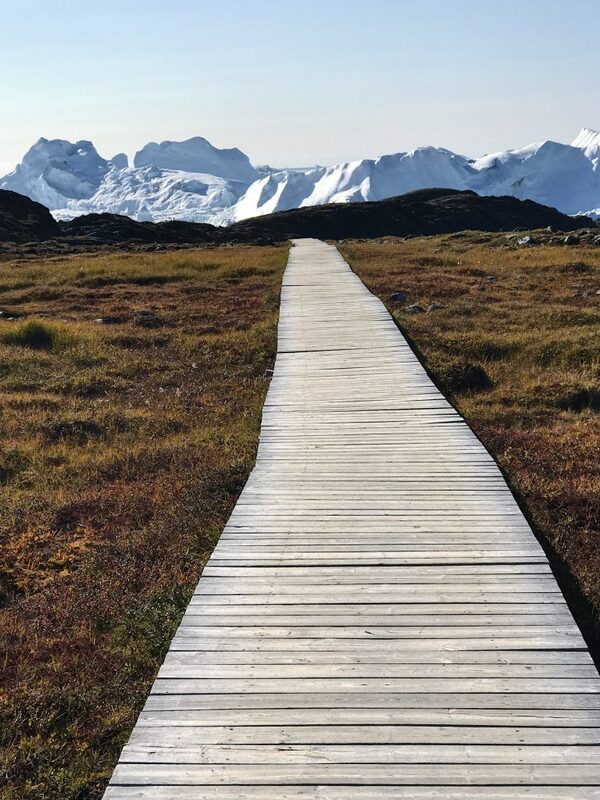 Greenland, really hope to see you soon. Interested in learning more about Colu’s journey? 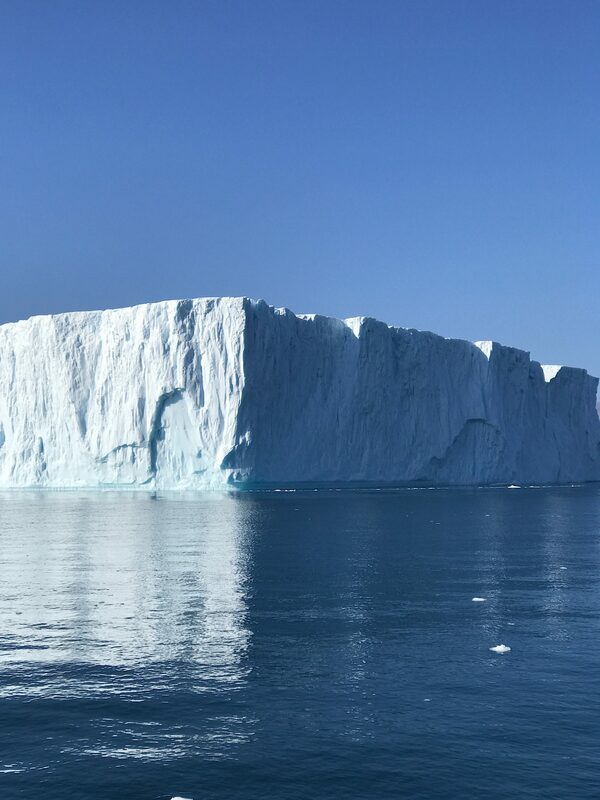 Read more about it on AFAR.com the USTOA blog and check out Lindblad Expeditions’ Hot Springs and Icebergs: Iceland to West Greenland tour.